The Best Wordpress Themes From ThemeIsle - Choose Your Favorite! Are you a blogger or affiliate marketer looking for a new theme for your website? With so many options available, it can be somewhat mind boggling. The importance of a well-functioning theme can’t be overstated because WordPress websites don’t function without a theme. ThemeIsle can help you build a thriving business and online presence by offering some of the most functional, state-of-the-art themes. Check out my review of the best WordPress themes from ThemeIsle. Are you a new blog owner? Or maybe you’re a seasoned blogger, but are tired of your current theme, and want something new? I can relate to the second question. Choosing a theme can be daunting because there are so many options to choose from, and it can definitely get confusing. There are literally thousands of themes for WordPress users to choose from. One of the first questions asked is: “Should I buy a premium theme or will a free one offer what I need?” The first order of business is to find theme providers that offer high-quality, well-designed, responsive themes, that are easy to navigate, and offer a host of customization options. These options eliminate the need to install a ton of plugins that negatively affect your site’s speed and performance. ThemeIsle, does however, offer their own set of plugins that you can purchase as a bundle. The themes from ThemeIsle are user-friendly, don’t require coding experience, and are fast-loading. With an library of both free and premium themes, you’re sure to find one that suits your preference, and needs of your business. Fortunately, ThemeIsle meets all the criteria, and is up to the task of providing the most popular WordPress themes to date. ThemeIsle’s mission is to design and offer themes to WordPress users that are easy to manage by everyone. The themes are updated frequently, and don’t require extensive and expensive training to get started. What’s not to like?! 1. What Is The Best Free Theme? Oh, and be sure to take advantage of the live demo before you download the theme. That way you can make sure you like the way it performs. You can download Oblique here. Amadeus is an amazing premium theme that is perfect for blogging. The code is easy to edit for anyone with a minimal knowledge of HTML. It’s compatible with all the major browsers, and comes with customizable widgets. It’s simple design assures your message will be the main attraction. Because of its responsive design, this theme will fit any size screen, whether it’s a desktop, smartphone or tablet. You’ll also be able to add additional menus, an alternative homepage layout, color schemes, and a slider to the homepage. If that weren’t enough, you can also utilize widgets underneath the header. You can download Amadeus here. Belise is a restaurant-related, premium theme that supports WooCommerce for creating an online store. One of the best features of Belise is the live customizer that lets you see how your changes look in real time. It’s SEO friendly, the installation takes under one minute, and you’ll have the option to use media sliders or videos as your background without having to install a plugin. Belise is optimized for speed, and boasts a mega menu that makes it easy to organize and arrange your content, giving you full control over the structure of your menus, and design of your website. And don’t worry about getting stumped because this fully responsive theme comes complete with video tutorials. Hestia Pro is a material-design theme made for e-Commerce, businesses, and startups. It’s elegant one-page layout is a favorite with artists, or anyone else wishing to showcase their portfolio. Perfect for e-Commerce and online selling, its clean and minimalistic presentation will have you making sales in no time. No coding skills are required to make your store accessible to the online world, and the parallax scrolling will make your content shine. Check out Hestia Pro here. Puzzle is one of my favorite premium portfolio themes, and it’s easy to see why. It’s a visually-oriented theme, and one of the most advanced, user-friendly, and customizable portfolio themes available. Puzzle is SEO friendly, optimized for speed, and supports live customization. It also comes with a responsive and powerful mega menu, giving you complete control over menu structure and design. Great for photographers, graphic designers, and artists, Puzzle is the perfect theme to showcase your work. Fine tuning your website is enjoyable with MedicPress, definitely one of the best premium medical WordPress themes out there. The layout is versatile enough to suit hospitals, clinics, and other businesses related to health, and you’ll love the customization features. This theme comes complete with pricing tables, profile listing options, and other content elements like icons. Security updates and dedicated support are all included, as is the ability to insert photo galleries, testimonials, and treatment lists. You can purchase MedicPress here. As you can see below, there are three different annual packages to choose from. If you only have two domains, the Essential will be your best bet. This bundle is most applicable for personal blogs, new blogs, or for people with just a couple websites. You’ll receive over 30+ WordPress themes, one year of updates and support, and a year of free shared hosting. You’ll also have access to all the essential plugins, plus three additional ones. The total cost is just $89.00 for an annual subscription. You’ll get the same options with the Business package except one additional plugin is added, and you can use the themes on three domains. This option is great for growing companies. The price is $129.00 to take advantage of this package. The VIP offers updates and support for up to five domains. You’ll have access to all the business plugins, plus two additional ones. This option is best if you’re operating multiple websites. The cost is $199.00. Click here to buy the plan that best reflects your needs. If you don’t want to pay for the premium themes, there’s always the option to use the free themes. Refunds are issued during the first 30 days after purchase, and when you buy a yearly plan, the price is locked in for subsequent years. It’s also easy to cancel a subscription or upgrade your package at any time. I love that you can use the themes and plugins on your own websites, or on ones you don’t personally own. I think one of the best features of ThemeIsle is the option to get access to all of their themes and plugins for only $89.00 a year. 471,000 satisfied customers have already taken advantage of this tremendous offer, and you can too. 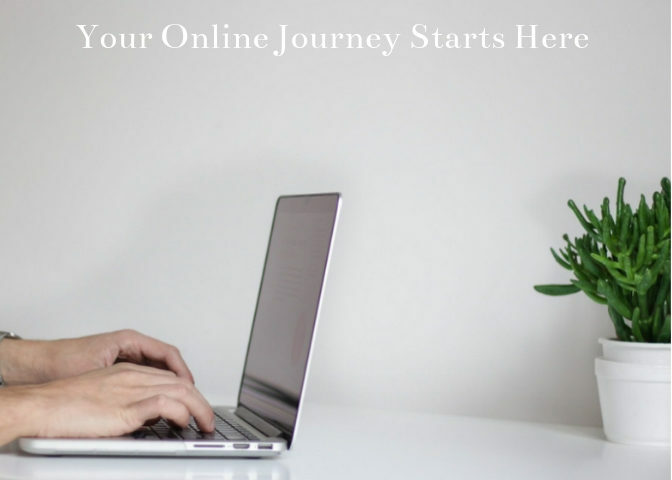 If you’re a new website owner, blogger, or affiliate marketer, you’ll need a hosting service, beyond the one-year hosting that ThemeIsle offers, in order to get your website live online. Wealthy Affiliate is where I host all my sites. It’s also where I learned my affiliate marketing skills. I’m so glad I found Wealthy Affiliate. It’s certainly one of the best decisions I’ve made. The certification training is unrivaled, the community comraderie is amazing, and the hosting is superb. Read my review: “Is Wealthy Affiliate Legit Or A Scam?” for more information. If you’re interested in joining Wealthy Affiliate, create your free account here. ThemeIsle has partnered with some of the best world-class designers to produce stunning themes that are easy to install, fully responsive, mobile-friendly, and updated frequently. Although, each theme is customizable, you can add additional functionality by using the plugins ThemeIsle offers. And the community support is exceptional. Browse ThemeIsle’s library of over 30+ premium and free themes. You’re sure to find one one that suits your website. Choosing a theme is fun – you can’t go wrong with ThemeIsle!